With this trip, we invite you to discover Strasbourg, its history and its most famous monuments from the river which passes through it. 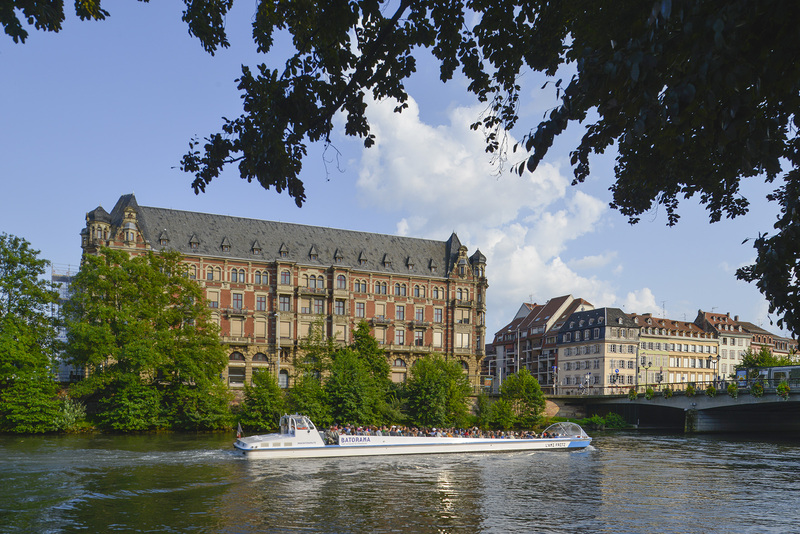 From the Petite France district to the European Quarter, you can admire some of Strasbourg's finest areas during this semi-urban, semi-rural tour. 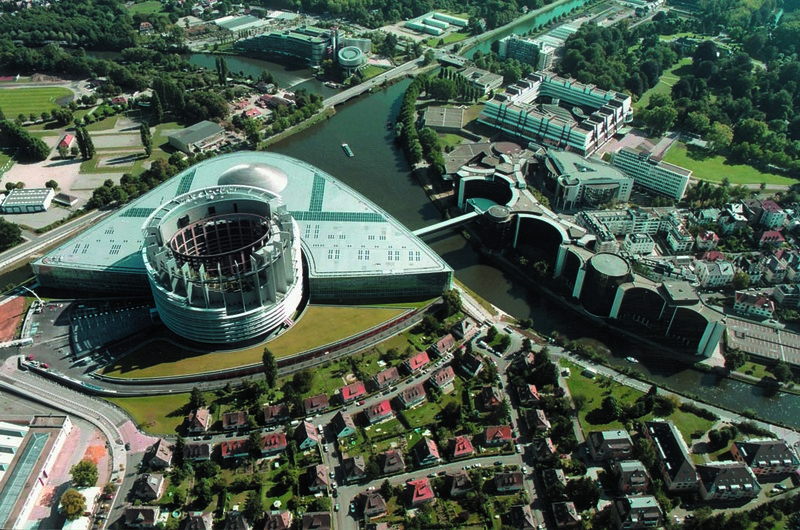 Known as the "town at the crossing of the roads", Strasbourg is located at the shifting border between France and Germany but also within easy reach of Luxembourg, Switzerland and Belgium. It has always been a strategic city from a political, economic and cultural viewpoint. For this reason, since the Middle Ages among its traditional buildings including numerous half-timbered houses we also find private mansions, palaces, churches and administrative buildings, each designed as a showcase to enhance the city’s power and standing. The Cathedral of Notre-Dame de Strasbourg, which will be celebrating its millennial in 2015, was the world's tallest building until the late 19th century. Vauban : a well-known architect and military engineer of Louis XIV, the Sun King, who reinforced Strasbourg’s defences. You’ll be making an about-turn at his famous weir-bridge in the very heart of the town's Petite France district. Robert de Cotte : the first architect to the King of France to whom we owe the Rohan Palace, the first important building to be built in the French style in Strasbourg. The architects behind the German imperial quarter, the Neustadt : August Orth, Hermann Eggert, August Hartel and Skjold Neckelman, who transformed Strasbourg into a modern city in the same way that Baron Haussmann had transformed Paris a few years earlier. Sir Richard Rogers : designer of the European Court of Human Rights building, winner of the Pritzker prize for architecture (the equivalent of the Nobel prize) who is particularly well-known for being the joint architect of the Centre Pompidou (Beaubourg) in Paris. ... And so many other buildings which all bear witness to Strasbourg's rich historical diversity and which you can admire during your boat trip. You’ll probably also be pleasantly surprised to find that half of your cruise takes place in the town's "conservation corridor". Unlike many cities, Strasbourg has not been developed intensively along the whole length of the river and the moment you leave the city centre you will once again find the wooded river banks which are still home to swans, ducks and other aquatic birds. 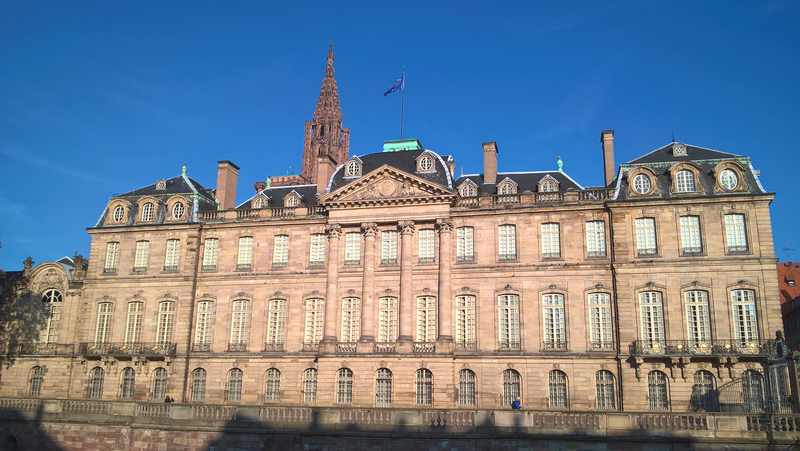 Strasbourg is a town synonymous with history and architecture but also a garden city. Afterwards, if the fancy takes you why not tuck into one of our tasty specialities in a traditional winstub, which also provides a great opportunity to discover our half-timbered (timber framed) houses more closely. You know neither the day nor the hour of your arrival? You are a professional and want to convey to your customers a prepaid contremarque? Choose Open ticket! great attention. Lovers, thirsty for discovery and history, pirates budding lovers of gentle walks ... we all have a reason to embark.